We had never had it before, even though Iron Age, the Korean BBQ with a sense of humor, has slowly become one of the options in Duluth for us. 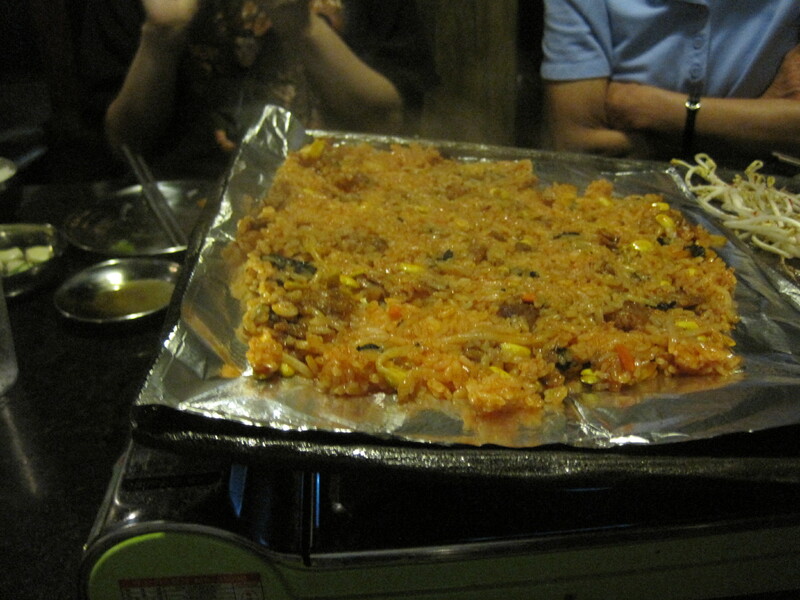 They take your left over meats and fold it into their rice mixture, and cook it right on the pan, on your own table. Once it starts, you can even see the rice steam. Hints of steam coming off the rice can be seen in this photo. Iron Age is truly a unique experience, and if you have daughters, they’ll appreciate the character of staff here. The non stop KPOP on the big screens doesn’t hurt either.